Hannah is isolated and looking after herself. She keeps reaching out to her mom and dad, but they feel inaccessible. But a community art project draws her attention away from her daily routine where she discovers everything she's been searching for. Natalie is an overworked mom, fighting to provide for her family and hold it all together. 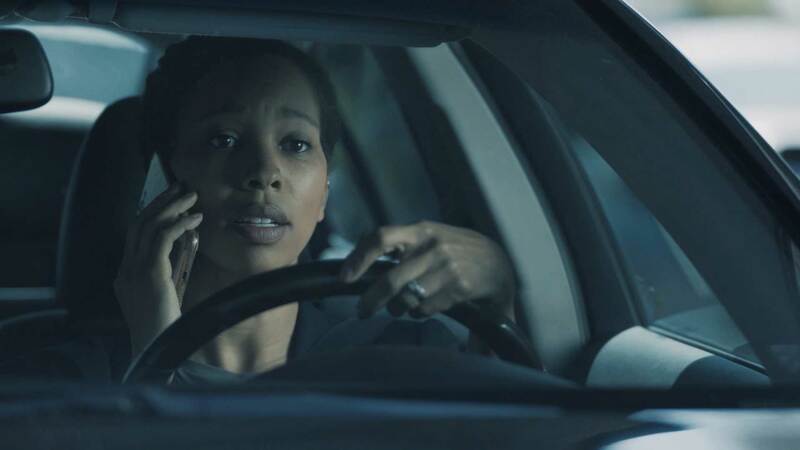 She's not getting help from her husband and lacks the time to stay connect with her daughter, until she takes a moment to press pause on her daily grind to find out what her daughter has been part of. 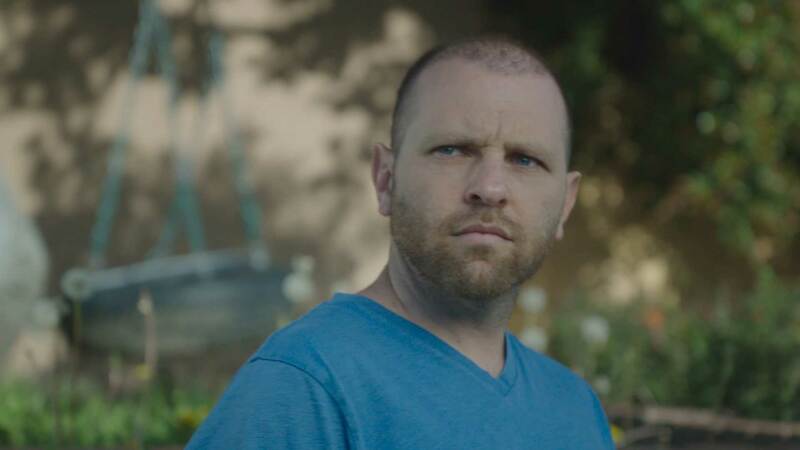 Darryl is weighed down by the stress of life and struggling to overcome mental health issues to connect with his wife and daughter. 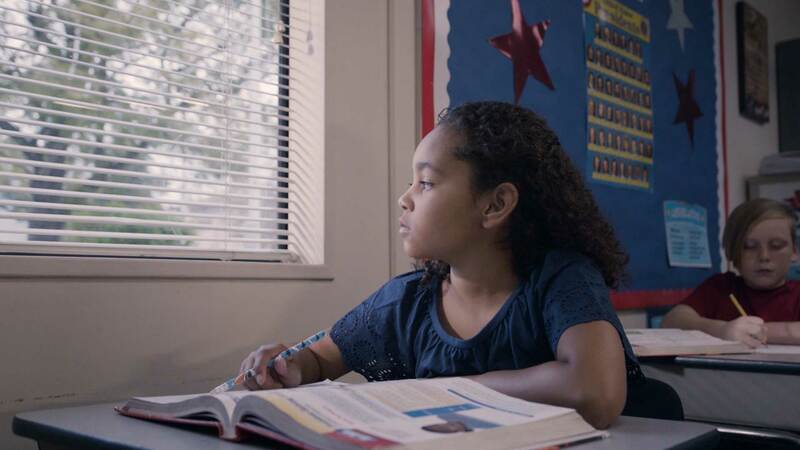 Though they keep trying to get his attention, Darryl pushes them away until he recognizes the brokenness in his life and takes a step to get help and reconnect. 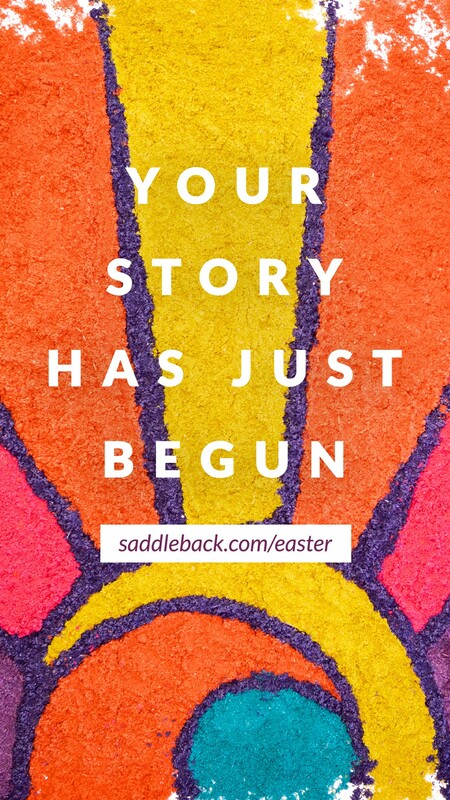 Your story has just begun. Sometimes we think we know how the story will end. The relationship is over, the business venture has failed, our child feels lost to us, our dreams will remain forever on the back burner. But at Easter, we celebrate that just when it seemed like Jesus’ life was over, he defied every odd and rose from the dead. They thought his story was over, but it had just begun. 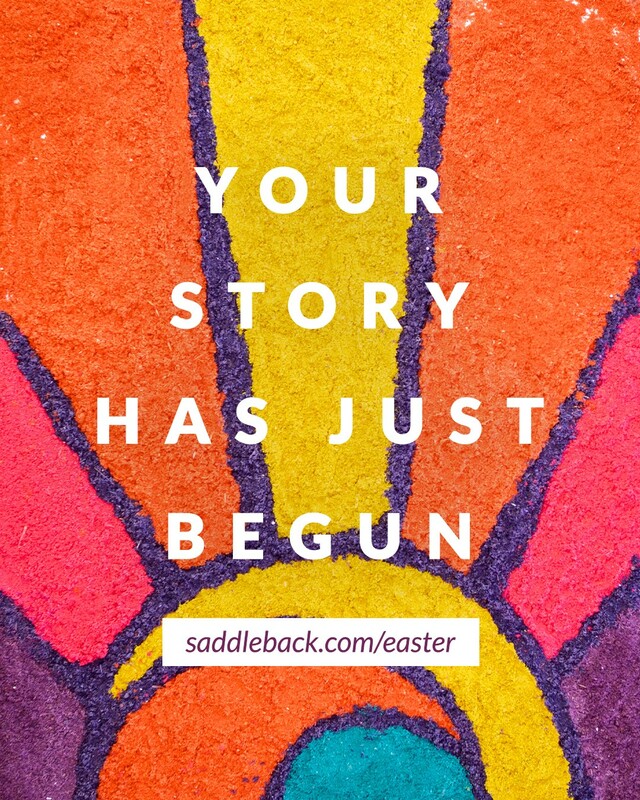 The same is possible for each one of us — Jesus’ love rewrites these fractured stories and dead ends with new purpose. 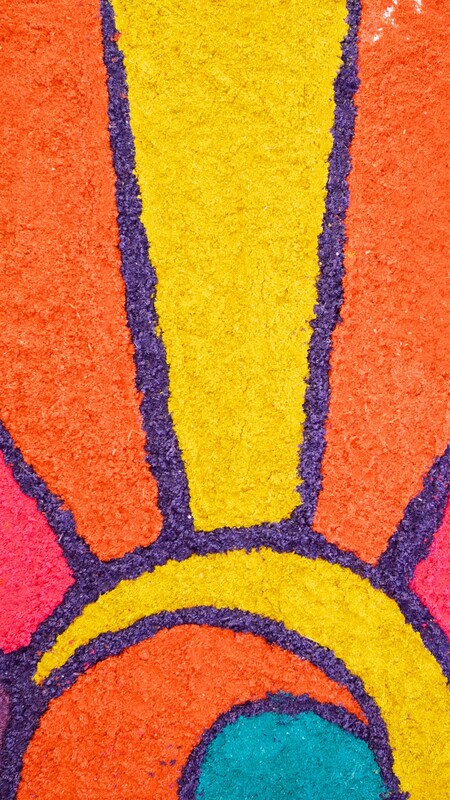 New vibrancy. New hope. He brings us together, united by the power of his love, to create something beautiful... a beauty that lasts. 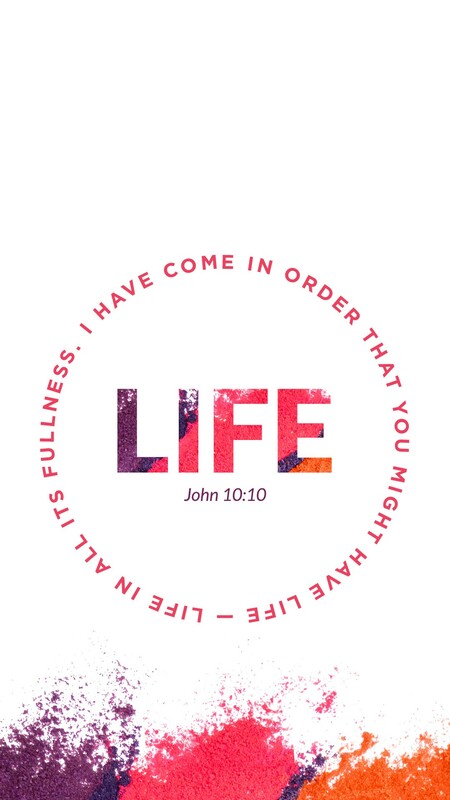 "I have come in order that you might have life – life in all its fullness." 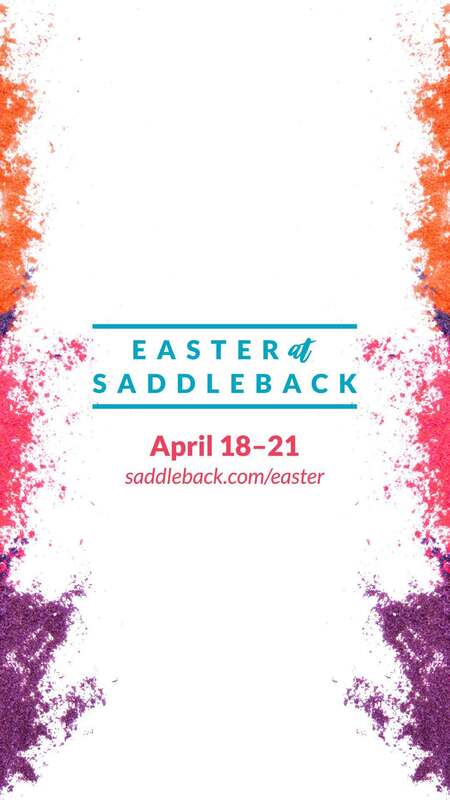 Share your favorite Easter image on Facebook, Twitter, or Instagram using the hashtag #EasterAtSaddleback. Every year, thousands of people visit Saddleback during Easter. Help others feel welcomed into our church family at one of our services this year! Select a service time to get started. 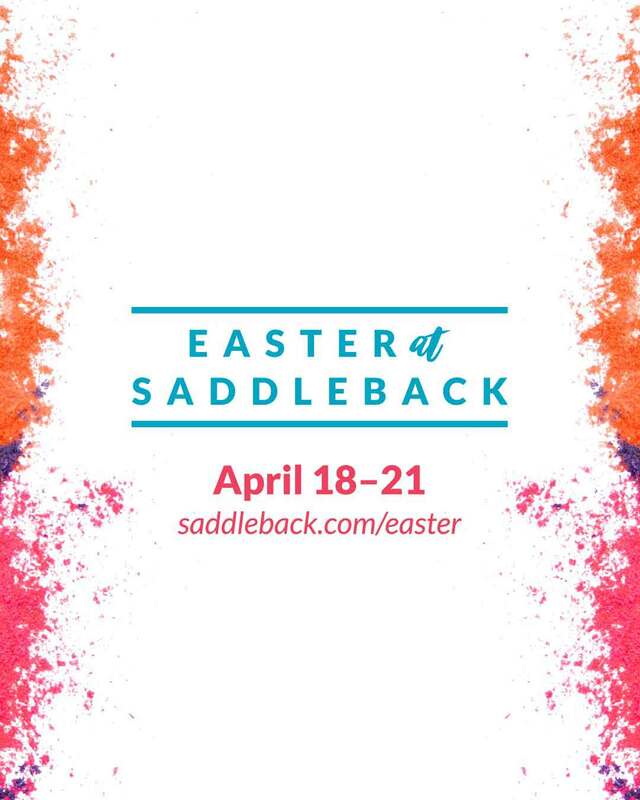 Saddleback Irvine South has a heart of compassion to serve and reach the 300,000 people that call Greater Irvine their home. We believe that love multiplies when we are in a relationship with Christ. Our campus reflects and celebrates the diversity and culture of our community through multilingual services and events held in Chinese, sign language, and English. We are a missional church, serving our community and the world to reach one more for Jesus! We’d love to see you this weekend! Select a time for more details. We’re a place where the depressed, the hurting, and the hopeless can come and find help. Life isn’t meant to be lived alone. Connect with others through events, small groups, ministries, and more. "Therefore, encourage one another and build up one another, just as you also are doing." We love creating spaces where you can get help, connect with new friends, and grow in your faith. 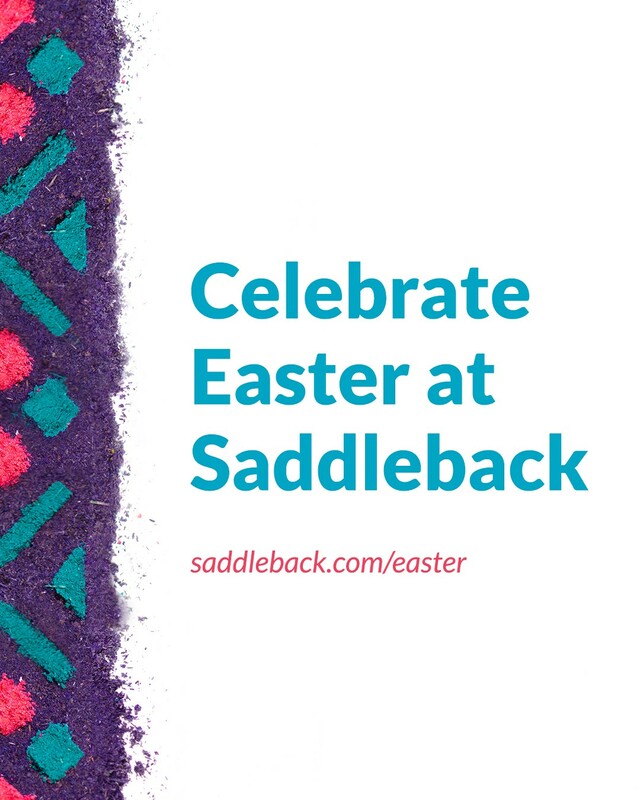 You were created to experience life with other people, and that’s why at Saddleback, we encourage you to get into a small group. Groups come in all shapes and sizes — married couples, singles, men, women, have kids, don’t have kids, workplace, under 20, over 40 — the list goes on. No matter where you are in life, there’s a group for you. Ready to dive in? Find a group that fits or start one of your own. No matter what stage of life you’re in, we have a way for you to get plugged in. Check out all that we have to offer, and get involved today! We give because God gave first. All that we have, or hope to have, comes from him. The Bible says that giving is a reminder that God is the supplier of everything. It teaches us to always put God first in our lives. Kyung was born in Seoul, South Korea, but grew up in Omaha, Nebraska. He received his Bachelors and Masters of Science in Electrical Engineering from Iowa State and Ohio State, respectively. Kyung worked as an electrical engineer in Columbus, Ohio before heeding God’s call to become a college pastor at Ohio State. He received his Masters of Theology and Doctors of Ministry from Dallas Seminary. Kyung has studied cross-cultural church planting overseas, coached pastors and helped plant various churches and multi-sites. 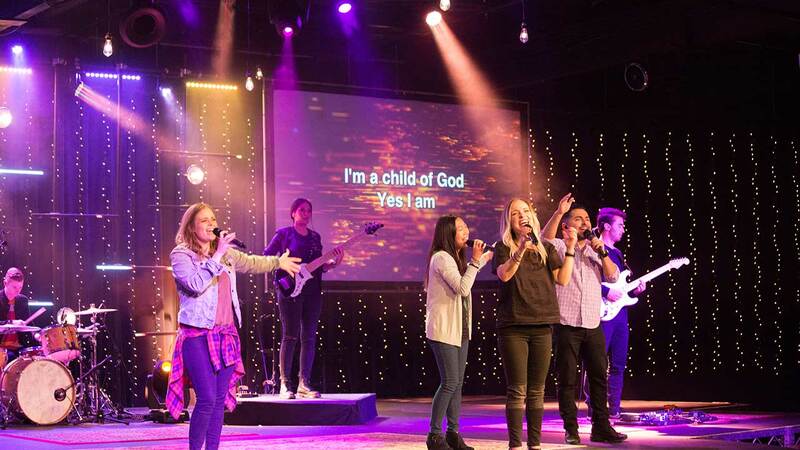 He served 20 years as Executive Pastor of LifePoint Church in Plano, TX before joining Saddleback Church in 2015 as our new campus launch pastor. 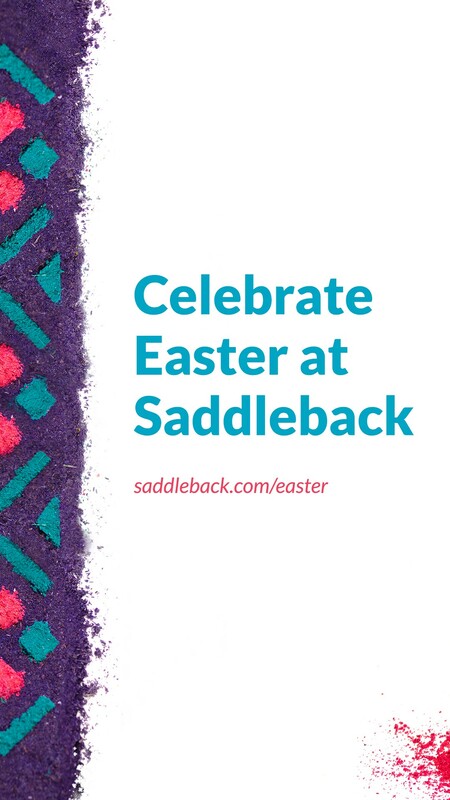 In 2018, he joined the amazing team of Saddleback Irvine South to serve and reach the Greater Irvine area. 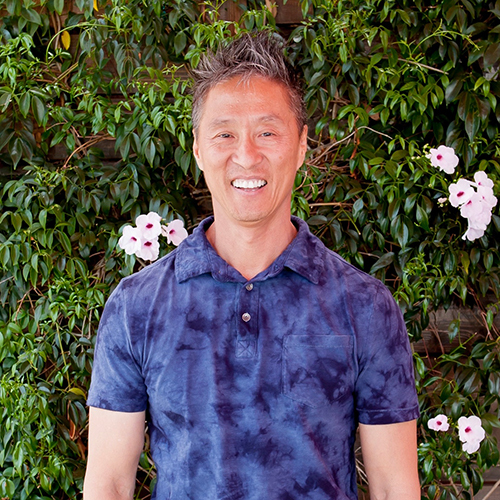 A developer of leaders, strategist and practitioner, Kyung has a passion to help churches, leaders and people reach their full redemptive potential. He is married to his beautiful bride Lindy and has two boys Cayden and Zander, who remind him daily of God's joy and grace. A big time sports fan, foodie and national karate champion, Kyung dreams of playing golf like Tiger, cooking like chef Ramsey and being fluid like Bruce Lee. One should always dream! 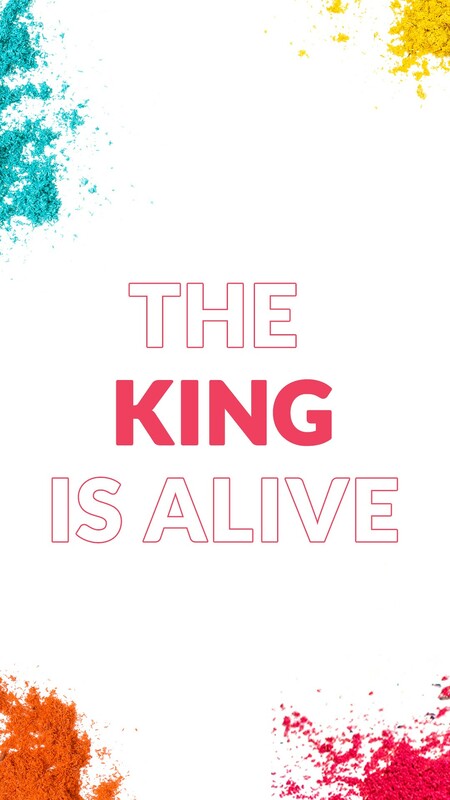 Stay Connected With eNewsSign up for our mailing list to get updates for future events and more information about the ministry. Hey! Is this your home campus? By selecting a home campus and setting it as your homepage you can get personalized, relevant info every time you visit. Leave this campus experience at any time by clicking the link at the bottom of the page.